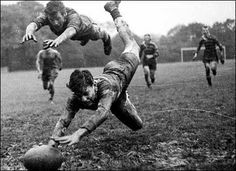 I know very, very little about rugby – however as the Rugby World Cup has been going on I started to search for books for young players to read. There are a number of books about characters that play football, but we had none that covered this game. I ordered copies of this series for my branch of Waterstones, and it seems that only one book came in – Rugby Rebel. I loved it – a mixture of ghosts, Irish history, mystery, and of course rugby. The story is one of a collection of titles – and did refer to others ‘earlier’ in the series – but that didn’t really matter (apart from making me want to read the rest) – as the story was complete in itself as well. I thoroughly enjoyed it – even though I have to admit to still not knowing anything about rugby – I have to take it on faith that the references to the game were possible and or likely. There are four in the series – Rugby Spirit, Rugby Warrior, Rugby Rebel and Rugby Flyer. Sadly I don’t have the copy of Rugby Rebel that I read at work here at home – so I’m uncertain of the order of the books. I am sure, however that they are well worth reading – and purchasing. If you enjoy rugby – then buy these! I suspect they are not books that will be found readily available on the shelves of English bookshops (they may be around in Ireland) – so they may have to be ordered in for you – but they are worth it. 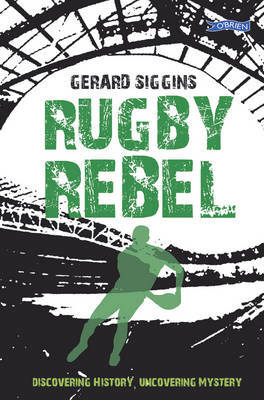 The cover design for Rugby Rebel is indicative of those for the rest of the series. It doesn’t in my view promote the book particularly well…I think, perhaps they would have been more dramatic if they had used a photograph, but as they say, never judge a book by its cover.